Leinster full-back Rob Kearney has signed a new three-year deal at the club which keeps him in Ireland until June 2018. The two-time British and Irish Lions tourist has won 56 caps for his country and scored ten tries. He also played in all three Tests on the Lions tour to South Africa in 2009. 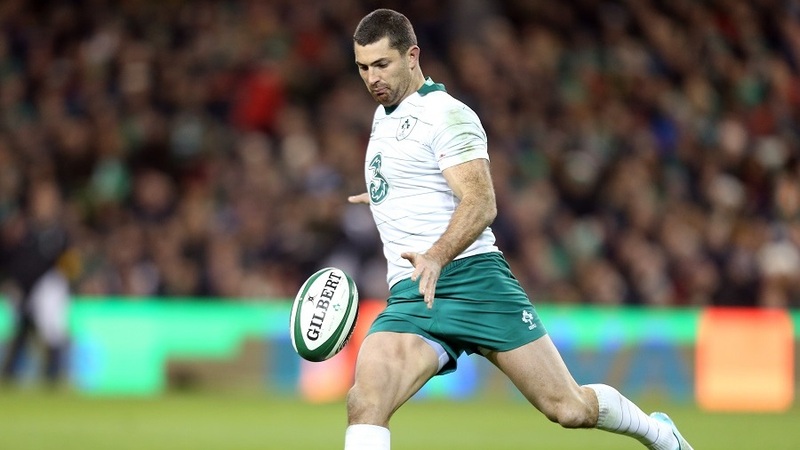 "I am happy to have signed a new contract that will keep me at Leinster for another three years," said Kearney. "I made my debut for Leinster almost 10 years ago and it is a great honour be in a position to extend my contract and hopefully play a part in future success at both provincial and national level." Kearney has spent his whole domestic career playing for Leinster and his new contract is a major coup for Ireland and Leinster in their bid to keep their stars in the Pro12. "It is great that Rob has signed a new IRFU contract which keeps him at Leinster up to the end of the 2018 season," said Leinster CEO Mick Dawson, "Rob is a senior international with a proven pedigree and a key voice within our environment. Keeping our stars at Leinster will ensure that we continue to compete for silverware in our domestic competition and in Europe." "We are delighted that Rob has committed his future to Leinster and Ireland for the next three years," added IRFU Performance Director David Nucifora. "Rob has shown his world class in the blue of Leinster, the green of Ireland and the red of the Lions." Kearney is expected to start at full-back for Ireland in their Autumn International against Georgia in Dublin this Sunday.